You must have seen a in the URL of anyone's Facebook Profile which is like www.faceboom.com/xxxxxx. What are these x's ?? These are nothing but a username of that person like www.facebook.com/hackingandtips. Here hackingandtips is the username of our Facebook Fan page. 1). 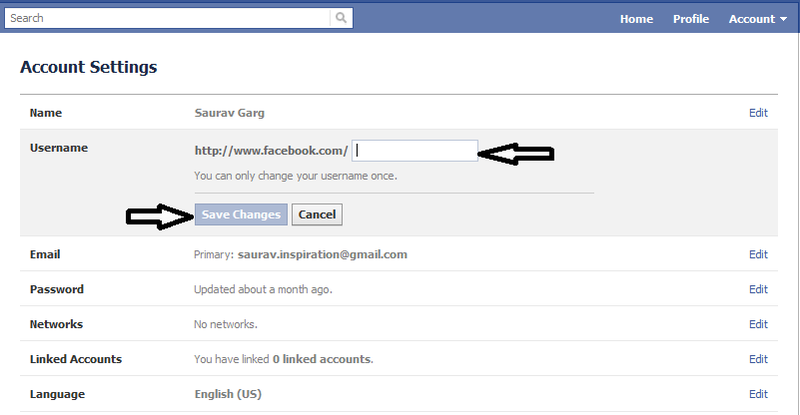 Login o your Facebook Account. 2). 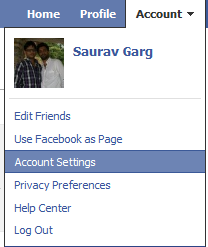 Click on the Account Tab and then select Account Settings. 3). Now in the Account Setting window look for the Username and click on the Edit button. 4). Now set your desired username and click on save changes. Remember you can set this username only once. So do it carefully. 5). Now you had set your username to check this go to your Profile. It will like www.facebook.com/yourusername.